The MCCVB sponsored a campaign on TravelZoo.com, which ran from October 1 through November 6, 2016, and featured the destination’s top attractions. The campaign garnered an impressive 60% engagement rate, and 21% of the audience clicked through to SeeMonterey.com. 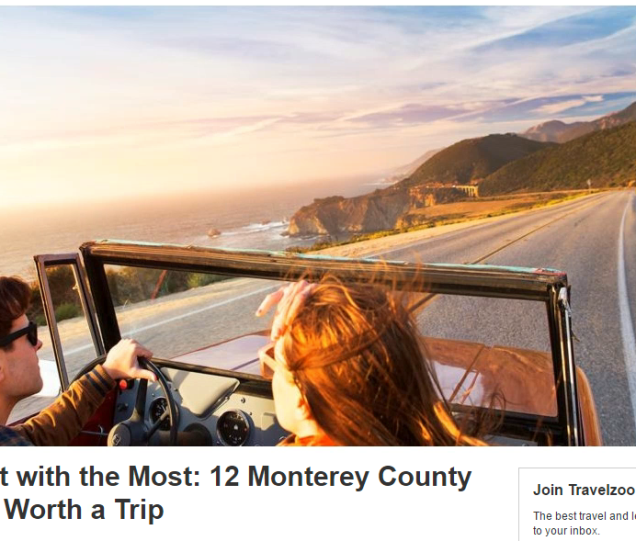 The advertorial also netted 42,778 Engagements on Facebook, and the most-clicked links in the feature were Monterey County hotels and deals. You can view the feature here.